BATON ROUGE— On Tuesday, January 19, Drs. Satish Gadi and Deepak Thekkoott, cardiologists at Cardiovascular Institute of the South in Baton Rouge and Zachary, were the first to use new VenaSeal technology in the East Baton Rouge area to treat venous disease. This was also the second case in Louisiana, and to date, these cardiologists have the most experience with this procedure in the state. The VenaSeal™ closure system is a cyanoacrylate-based medical adhesive (viscous, polymerizes quickly, and soft/elastic with a strong bond) for the closure of greater and lesser saphenous veins in the legs. This is the only non-tumescent, non-thermal, and non-sclerosant procedure where adhesive is delivered endovenously to close the vein. This unique approach eliminates the risk of nerve injury when treating the small saphenous vein. The procedure is administered without the use of tumescent anesthesia, meaning only one needle stick is needed to numb the area, thus avoiding patient discomfort associated with multiple needle sticks. It also eliminates the need for post-procedure compression stockings, and post-procedure pain and bruising. The patient can return to normal activities rapidly. "This is an almost painless way to treat varicose veins and thus very unique in that sense, since traditional treatments involve potentially painful local anesthesia," explained Dr. Gadi, interventional cardiologist at CIS in Baton Rouge. VenaSeal procedure is done under ultrasound guidance and the patient is draped in the usual sterile fashion just like the radiofrequency ablation procedure also performed at CIS, except non-thermal and non-tumescent. There is one access needle stick site in the lower leg. Once access is achieved, the introducer/dilator and catheter is advanced toward the sapheno-femoral junction, compression is applied to the area, and the physician injects the VenaSeal directly into the vein. There is enough of the product in one kit to ‘seal’ both greater saphenous veins in one session if desired. Overall, the VenaSeal™ closure system reduces discomfort and recovery time for patients, and is designed to allow patients rapid return to normal activities. 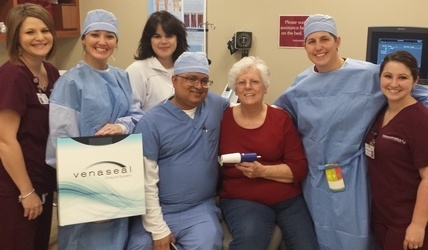 “CIS is proud to offer VenaSeal, as it is the very best and most advanced percutaneous and non-surgical treatment for varicose veins,” said Dr. Thekkoott, interventional cardiologist at CIS in Zachary. To learn more about the vein treatments at CIS, call our Baton Rouge office at 225-308-0247 or our Zachary office at 225-654-1559. Founded by Dr. Craig Walker in 1983, Cardiovascular Institute of the South (CIS) is the largest single specialty cardiology practice in Louisiana. CIS cardiologists represent nearly every specialty in heart and vascular medicine. CIS is a world-leader in preventing, detecting, and treating cardiovascular disease. The institute offers a comprehensive heart and vascular program with specialized medical professionals trained in nuclear cardiology, electrophysiology, prevention services, and lipid management, as well as interventional cardiovascular procedures. CIS is also world-renowned for making significant advancements in the development of non-surgical treatments to treat peripheral arterial disease (PAD). CIS has earned international acclaim as a leader of research, development and education. Dr. Walker is chairman of New Cardiovascular Horizons, the largest medical education meeting of its type. With a team of more than 500 dedicated members, CIS provides comprehensive cardiovascular care to communities throughout Louisiana, as well as national and international patients, at its 15 clinics. CIS consistently positions itself at the forefront of technology by providing the most up-to-date technology coupled with compassionate care. 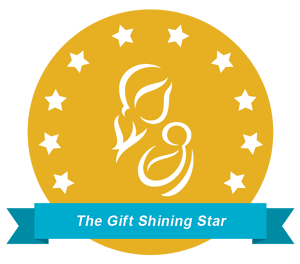 This mission has guided the institute for more than 32 years of service to south Louisiana. For more information about CIS, call 1-800-425-2565 or visit www.cardio.com.